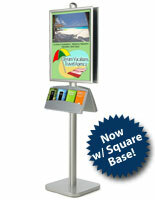 More Number of Pocket & Panel Height Options Available! 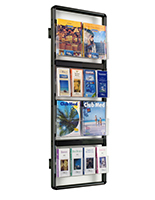 Are you looking for a literature rack that can stand up to regular wear and tear in heavily trafficked areas? 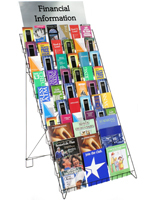 These metal pamphlet holders offer excellent durability and style while helping get promotional printed materials in the hands of your customers. 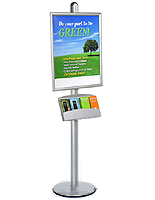 Our sturdy aluminum and steel leaflet fixtures are ideal for use in retail environments, convention centers, and offices. 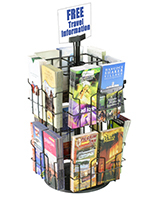 Use a metal pamphlet holder to provide customers with informational brochures, product catalogs, and printed marketing materials. 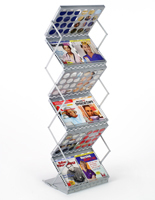 Many businesses have their literature laid about in loose stacks, but organizing them in a single or multi-pocket rack gives customers a centralized location to browse the selection. 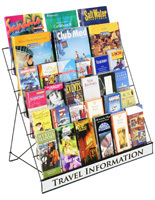 Metal pamphlet holders are an affordable way to distribute tri-fold brochures, getting valuable product and service information into the hands of your customers. 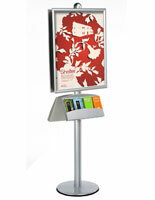 Use these fixtures to build brand awareness and educate your guest on everything you have to offer! 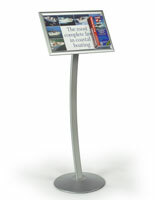 What types of metal pamphlet displays do we offer? 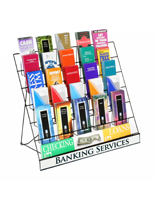 Countertop metal pamphlet holders place industry information directly in front of customers in the most frequented areas of your business such as the check our counter or reception desk. 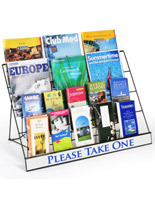 This gives users an opportunity to prompt customers to take a packet home for review, be it a product catalog or medical information pertaining to the individual. 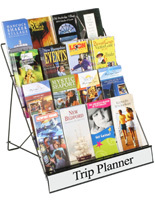 Some countertop options feature folding stands, making it a space saving fixture to travel with and set up on-the-go. 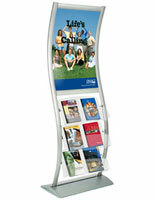 Other multi-pocket units rotate, providing customers with a larger selection of literature to choose from. 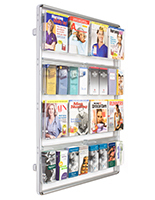 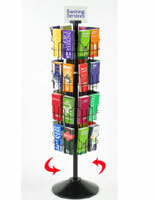 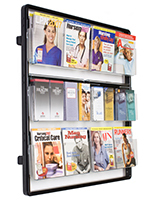 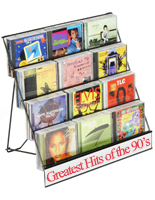 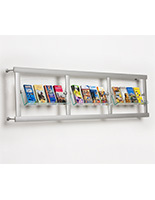 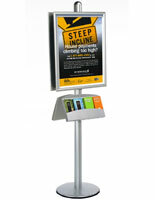 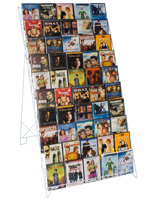 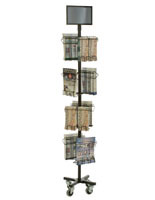 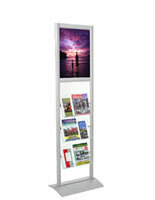 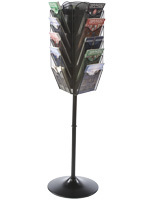 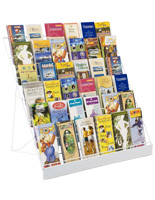 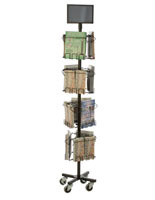 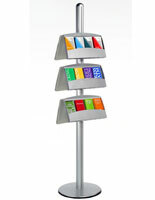 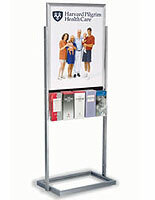 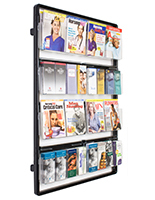 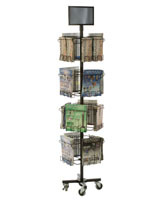 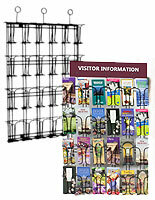 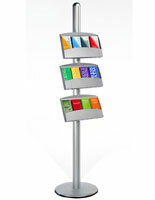 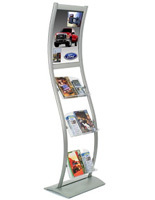 Floor standing leaflet racks are ideal for high-traffic public areas such as malls, lobbies, and conventions. 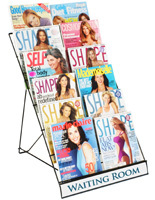 Many popular models feature sign frames, which are the perfect way to present personalized marketing material to draw customers in. 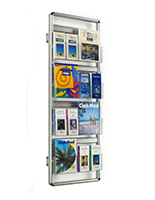 Other models are double-sided, so multiple customers can browse the selection at once, making it a space saving, efficient addition to your office. 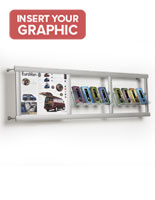 Multi-tiered options allow users to showcase larger selections in this pamphlet display, or ensure that the fixture remains fully stocked with the same focused hand-out. 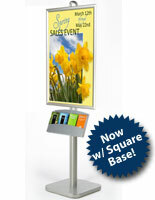 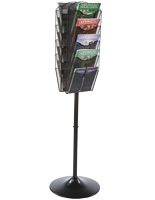 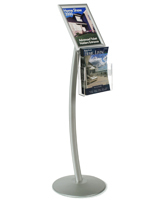 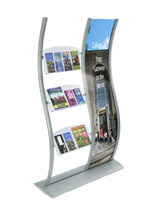 Rotating floor standing pamphlet holders are great for information or tourist centers, where guest can browse all of the local happenings in one place. 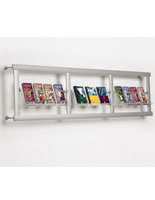 Wall-mounted literature organizers are a space-saving option that takes advantage of an area that is often underutilized. 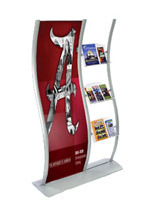 These high-end brochure displays offer unrivaled style and position tri-fold packets in highly-visible areas. 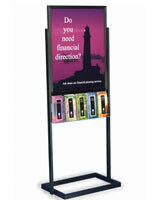 We offer multi-tiered options as well as models that include signage for more dynamic marketing displays. 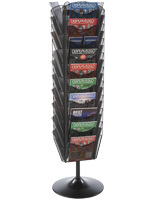 Hanging tri-fold pamphlet holders feature a modern, sleek, design that entices customers to browse. 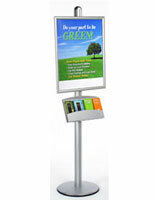 These steel and aluminum leaflet displays offer a lasting life in even the busiest environments for minimal cost. 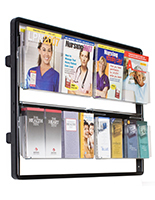 No matter the application or location, we have the countertop, floor standing, or wall mounted booklet holder to meet your needs. 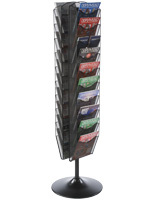 If you are looking for additional options, we carry a full line of wood, acrylic, and cardboard racks as well. 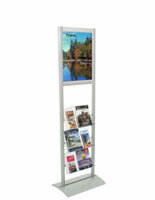 Browse our full collection of tri-fold display fixtures to find the perfect addition to your office or next event. 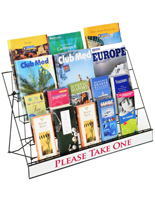 Place industry-specific information in the hands of your customers to help build brand awareness and promote return business!